All Elmira homes currently listed for sale in Elmira as of 04/23/2019 are shown below. You can change the search criteria at any time by pressing the 'Change Search' button below. If you have any questions or you would like more information about any Elmira homes for sale or other Elmira real estate, please contact us and one of our knowledgeable Elmira REALTORS® would be pleased to assist you. 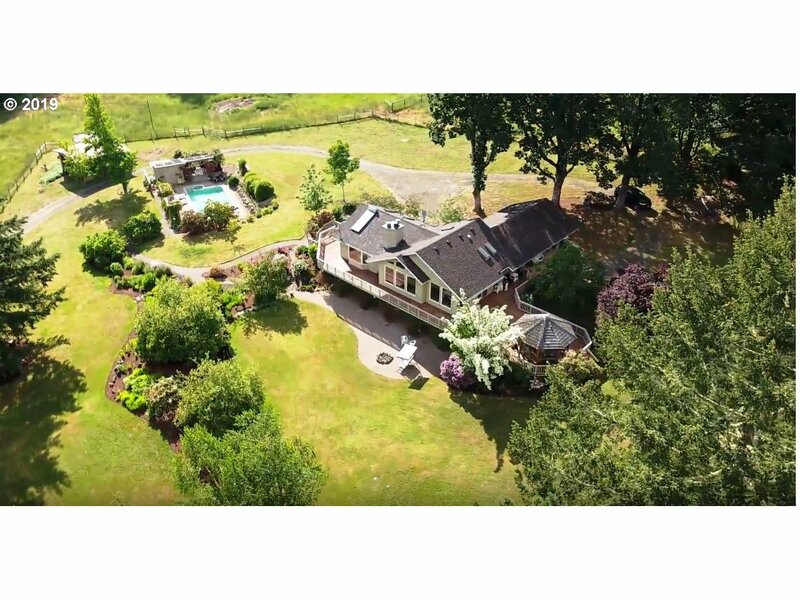 "This stunning 68+ acre Ranch is a rare find. 20+ minutes to Eugene, 40+ minutes to the ocean.But why leave when you can entertain poolside, or on the expansive deck? Ride your horses, or hike, on the wooded trails.Every detail of the almost 3000 sf home designed with care. Master on main floor, Dual-living ready if needed. Barn and Pastures with Water Rights. Beautiful mature Timber. Private. One of a kind, one ownership for 50+ years!" 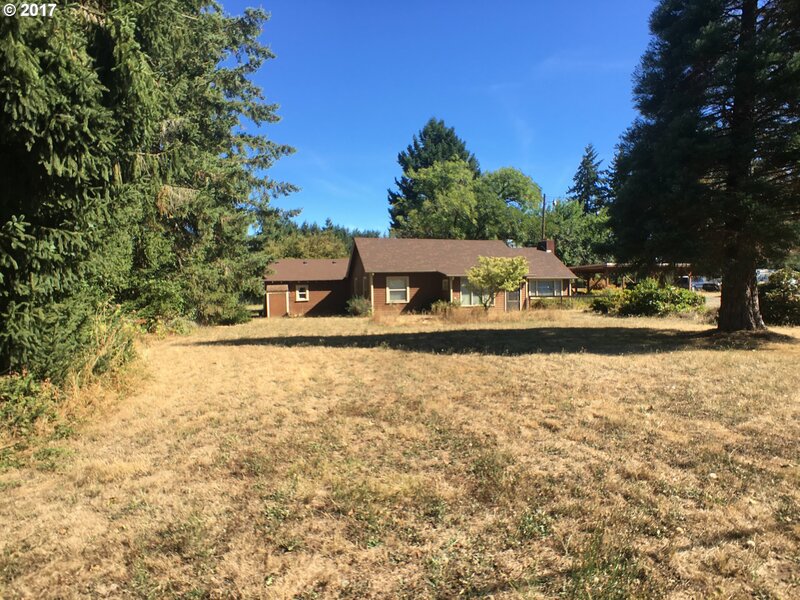 "Must See this Newly remodeled Farmhouse on the Long Tom River with water rights.This beautiful 20 acres offers Hops field,Fruit tree orchard, & potential cannabis/hemp grow,organic hobby,horse or cattle farm.Don't miss the 56x42 barn with 400amp,2 car garage,& multiple other outbuildings.Fully revamped kitchen,beds & baths.Home and property has had over $75,000 in updates!! To many new details to list call a Realtor today for more info." 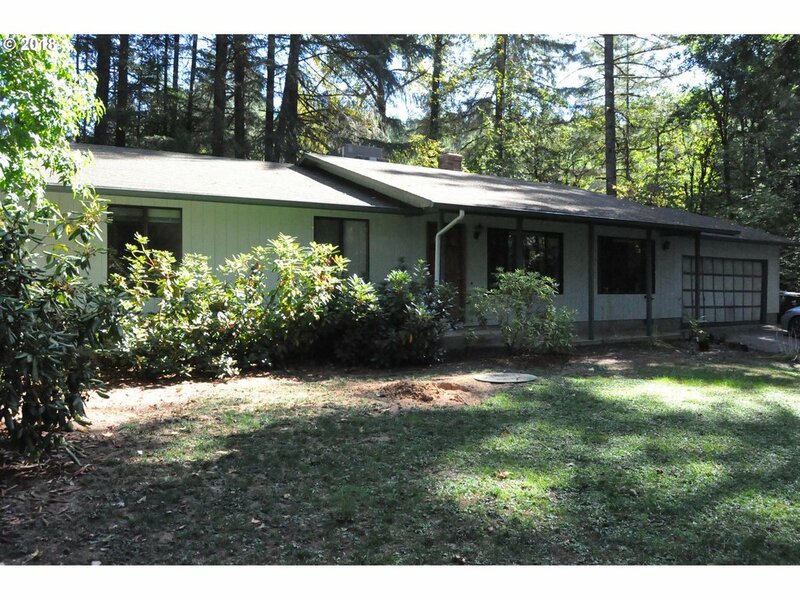 "Nice 3 bedroom 2 bathroom home that sits on over 3 acres of land in a private setting. Merchantable timber on site. Updated Kitchen and bathrooms. All kitchen appliances included in the sale of the property. Kitchen has a small pantry. Home has lots of storage. Property has a shed with concrete flooring - great for animals." 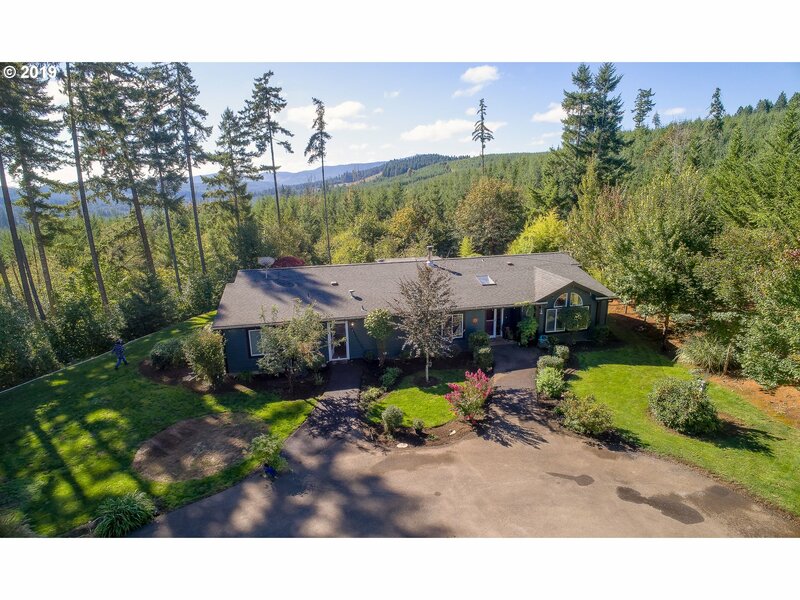 "You'll want to travel the paved driveway to this comfortable, spacious home and be welcomed by a peaceful, secluded setting that includes acres of marketable timber, ample paved parking & RV space for friends & family. This well-designed, light filled home has a wheel chair accessible flowing floor plan, large master suite, bath and bonus room. The big open kitchen with a walk in pantry, center island and a wall of windows. Must See!" "Lovely country property with a charming home. Home features spacious kitchen open to the dining room, great natural lighting in living room, and a large utility room. 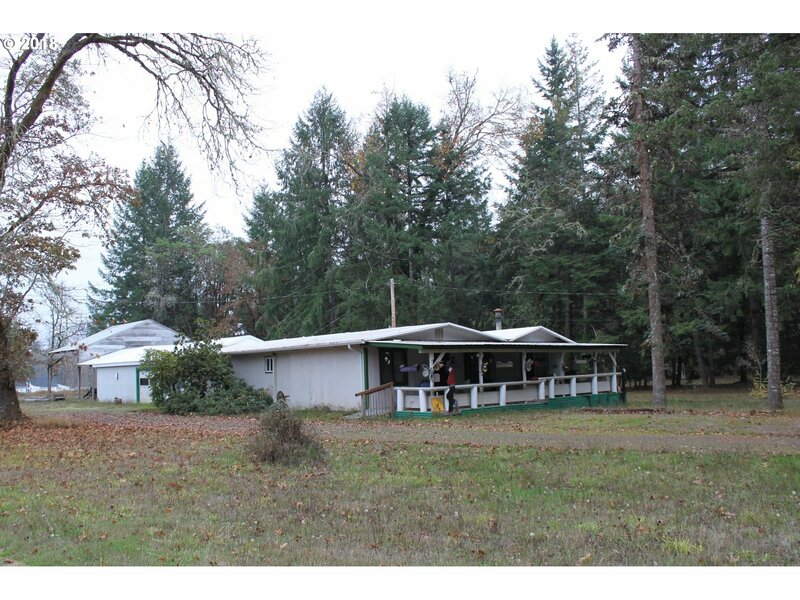 Property includes attached carport, shop, and covered RV parking. Nice elbow room from neighbors!" "The ultimate private setting. One of a kind property, located at the end of a long scenic drive. Plenty of sunshine near the top of the hill, surrounded by forest. This 1990 Fleetwood has been retrofitted with hand milled Redwood siding & has the feel of a country cabin. 24'x48' three stall pole barn, 5 yr old roof, 220 in the 2nd shed, & views from every room. I really like this property and home." "Must see this amazing property, conveniently located. Home features 2 beds & 1 bath. Residential home zoned commercial property, perfect rental or conversion-buyer to do own due diligence. Peaceful back yard with gorgeous trees. The Gas station has been decommissioned, shop space rents out to two tenants." 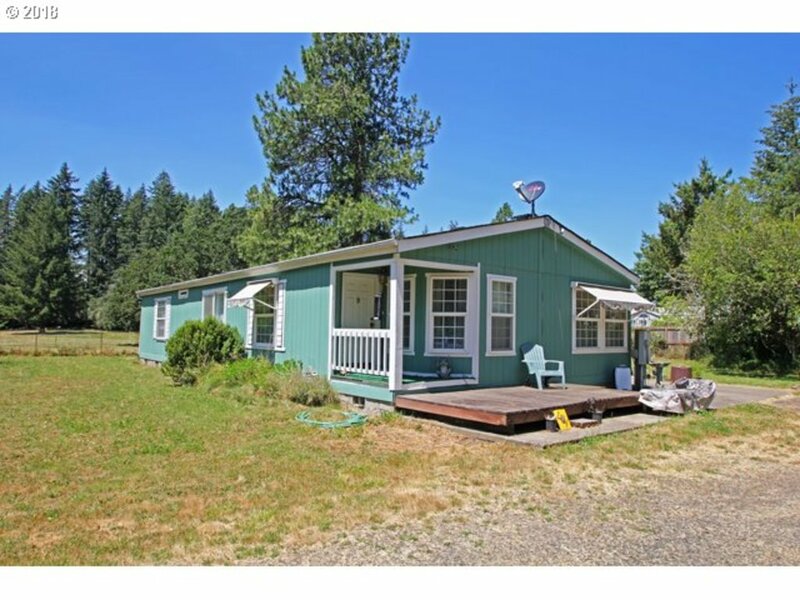 "Close-in 1993 well maintained Fleetwood Manufactured Home on just under one acre level & treed parcel. 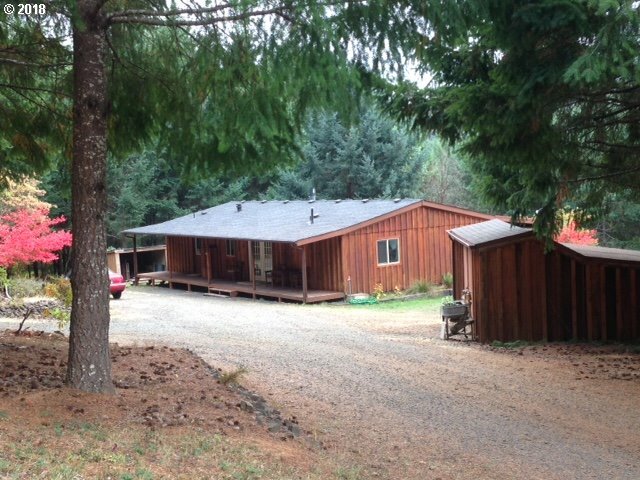 Great location at end of road w/gated driveway shared by a neighbor. 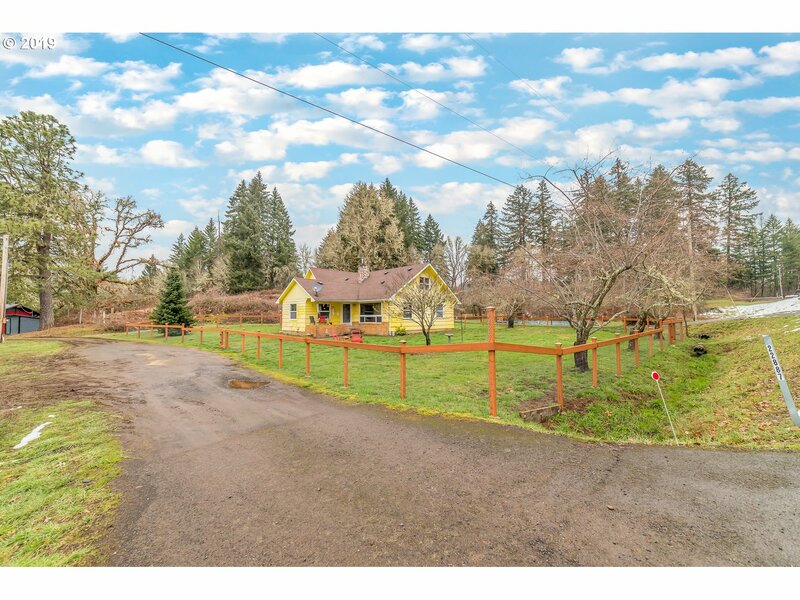 This light & bright home features vaulted ceilings, skylights, electrical forced air heat, new central air conditioning, deck, new exterior paint, two sheds, seasonal creek & new roof in 2008! 3rd Bedroom is set up as office with French drs & slider to exterior."